Sparkle Creations Rubber Stamps Challenge #75~ A Sketch! Hello! 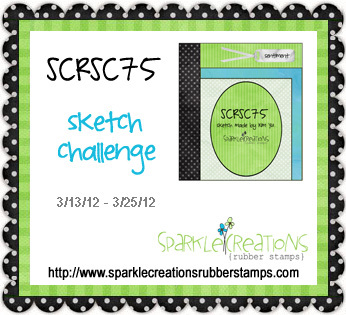 I have a card to share today that I made for the current SCRS Challenge which is a fabulous sketch by Kim Yu! I used this super sweet image, Easter Bunny Ruby, along with some My Mind's Eye Ooh La La dp. We hope you'll play along with us! 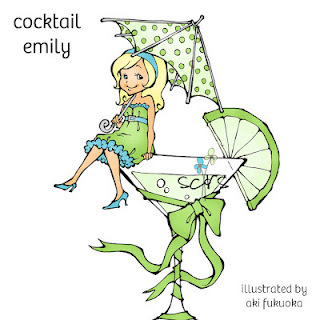 You have until Sunday 3/25 at 9 PM PST to enter for a chance to win the adorable Cocktail Emily! Thank you so much for stopping by today! I am trying to get used to my daughter's new gymnastics schedule! She was promoted to Level 4, and now goes to the gym Monday, Tuesday, Thursday and Friday from 3:45 to 7:15! We live so far away, that I pick Landon up from his school, drive back to pick up my daughter from school, head straight to the gym, wait for my hubby to get off work to take the boys home, and then I go in and hang out until she's done at 7:15 and then we get home around 8. It takes up 6 hours of my day! She still loves it though which is all that matters to me:) Anyway, that's what I have been up to! Have a fabulous Tuesday! So beautiful, Kerri! That's wonderful about your DD's accomplishment and your support of her love of gymastics! 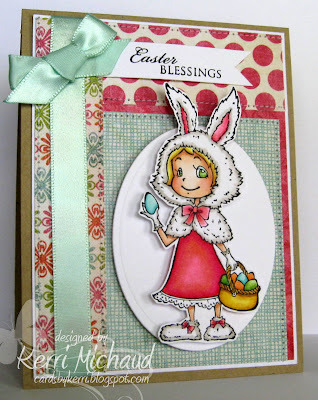 What a gorgeous card--LOVE the papers and your bunny image! HOOOORAY for your daughter and her accomplishments in gymnastics! How cute - she looks ever so fluffy! You always have the nicest papers!